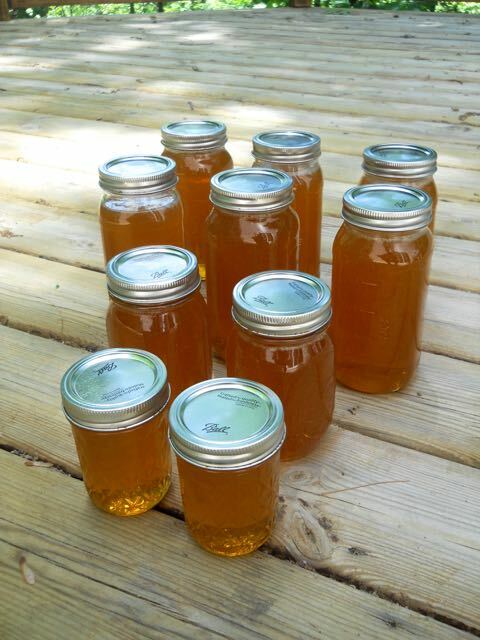 We extracted our first appreciable amount of honey from hive #1. 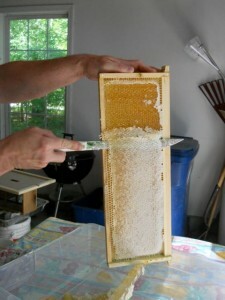 Steve recently got more bees to start #2 and will possibly split #1 to start #3. 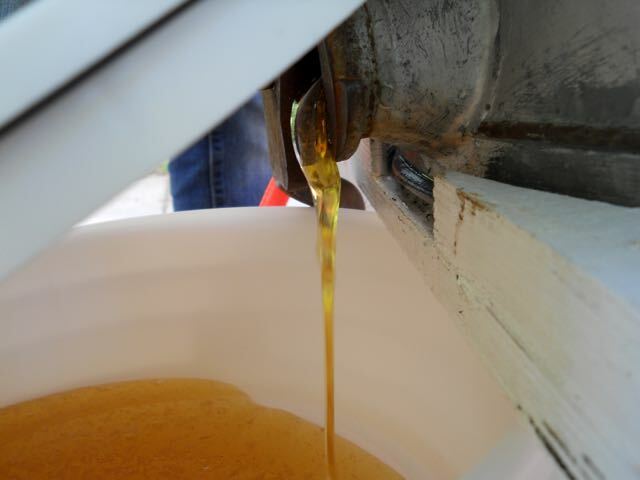 There were 6 full frames ready which was about 1.5 gallons of honey. We’re hoping to have quite a bit more next time (end of summer?) and will likely sell some to friends. 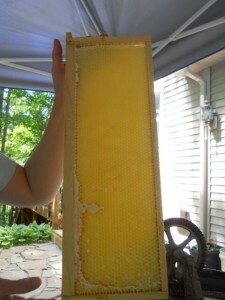 Uncapped frames in extractor. We rented this from the bee club in Holland, but are going to just buy our own for next time. 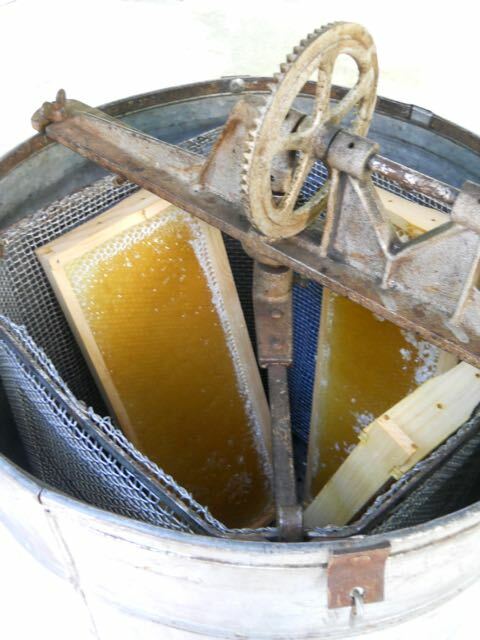 It has a hand crank and uses centrifugal force to extract the honey without destroying the comb. You spin the frames with one side facing out, then flip them over and spin again. Most of the finished jars. This entry was posted in bees, food. Bookmark the permalink. Impressive, you guys will be off the grid in no time!